Wegener’s disease, or granulomatosis as it’s more often known, is a very rare disease that affects many different organs and systems of the body. Mainly attacking the respiratory system (sinuses, nose, windpipe, and the lungs) and the kidneys, one of the primary features of the disease is an inflammation of the blood vessels (vasculitis). This inflammation narrows the blood vessels and reduces the blood flow to the affected organs, destroying tissues and damaging vital organs. Wegener’s granulomatosis (WG) is not a contagious disease, and there is little to no evidence to suggest that it is hereditary. Affecting only one in every 30,000-50,000 people, only 500 new cases are diagnosed each year. The disease can occur at any age, although it mostly affects individuals in their 30s and 40s, and affects males and females equally. Ninety seven per cent of all patients are Caucasian, 2% are black and 1% are of another race. No viral, bacterial, or other causative agent has yet been identified for Wegener’s granulomatosis. It is beliebed to be an autoimmune disease, meaning that the body’s immune system attacks “itself,” that is, the body’s own tissues. If there is an infection in the body, proteins called antibodies, which are capable of attacking the infectious agent, are formed in the blood. In Wegener’s granulomatosis, however, the antibodies that are formed are directed against the white blood cells of the immune system and are therefore called “auto-antibodies” (antibodies against one’s own body cells). These auto-antibodies bind to the blood cells and form clumps known as immune complexes. The complexes accumulate in the tissues and the blood vessels, leading to a tumor-like (granulomatous) inflammation of the blood vessels, which in turn slows down the blood flow to the different organs and tissues, causing damage and resulting in the many symptoms of Wegener’s granulomatosis. This section is for members only. To access it, please click here and register today. In an article published in the December 2002 issue of ‘’The Journal of the American College of Nutrition,’’ omega-3 fatty acids were found to reduce inflammation in various ways, such as altering the actions and production of hormones called “eicosanoids,” which influence the inflammatory response in the body. The fats in fish seem to be more potent that the omega-3 fatty acids found in plant sources, such as walnuts and flaxseed, and the article reports that several double-blind, placebo-controlled trials using fish oil for various chronic inflammatory conditions found that these fats reduced disease activity. Cold-water fish, such as salmon, are the richest sources of omega-3 fatty acids, and you can find other foods fortified with these fats, such as eggs; do not use fish oil supplements without checking with a health practitioner first. As the body uses them to synthesize hormones that impact it for better or use, fats in particular influence inflammation. Certain fats lead to the creation of pro-inflammatory chemicals. Cut back on omega-6 fatty acids, found in sunflower oil, safflower oil, corn oil and soybean oil, saturated fats found in animal products and trans fats, which are also known as hydrogenated oils. A class of nutrients believed to offer various health benefits when consumed as a regular part of the diet, antioxidants offer a great way to help ease symptoms. Any attempts at reducing inflammation through nutrition will call for regularly eating foods rich in these inflammation-fighting substances. Eating more fruits and vegetables in all the available colors will help you get the widest range of antioxidants. Try to cut back on refined carbohydrates and sugar, which will help reduce inflammation. Marcelle Pick, OB/GYN nurse practitioner at the Women to Women Health Center in Maine, says that these foods create surges in insulin that trigger the production of inflammation-causing hormones and affect the actions of chemicals in a way that promotes inflammation. If you are regularly eating something you have an allergy to, you are triggering frequent inflammation. Consider getting tested for food allergies; the most common allergens are wheat, dairy, soy, fish, shellfish, peanuts and eggs. Do not consume high fructose corn syrup or mono-sodium glutamate. Do not drink any carbonated beverages. Avoid all fast food restaurants. Eliminate conventional dairy products. The best dairy products are raw, unpasteurised and homogenised dairy from grass fed cows. If this is unavailable, then buy organic dairy. Avoid conventional beef. The best beef is organic grass fed beef. www.grasslandbeef.com The second best is organic meat; this includes beef, veal, lamb, chicken and turkey. Chronic inflammatory diseases are often associated with a depletion of magnesium. As magnesium can reduce inflammation, improve blood flow through the microvessels, and increase the cells’ antioxidant protection, taking 500mg of magnesium twice a day should help. In a piece on livestrong.com, alternative medicine expert Dr. Ray Sahelian explains that oxidative stress and inflammation greatly contribute to lung damage. Antioxidants and supplements with anti-inflammatory properties can counteract these negative processes in the body, and using them might offer some benefit for general lung health. The UMMC notes the antioxidant N-actelyecysteine, or NAC, has been shown to improve symptoms of COPD. Other examples of antioxidants and anti-inflammatories include vitamins C and E and selenium. curcumin, quercetin, omega-3 fatty acids and resveratrol. Sahelian notes specific research conducted in Japan that showed taking omega-3 fatty acids improved breathing in COPD patients. Furthermore, as stated on livestrong.com, a study conducted in the University of Auckland in New Zealand, published in the December 2005 edition of “Chest” found a link between levels of vitamin D and lung function; the higher levels present, the better the lungs performed. 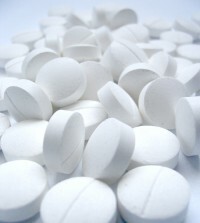 Take Vitamin D3 50,000-100,000 International Units a day for periods of 4 weeks at a time. Wholefood supplements are the best way of ensuring your nutritional needs are met. The best we know on the market is Kevin Trudeau’s “KT Daily” product. You can find more details here. What non-prescription and prescription drugs are you taking? Your non-prescription and prescription are partially the reason that you have this illness or disease – you need to get off these medications but do so only under the guidance of a licensed health care practitioner. Go to a Dr Morter BEST (Bio-Energetic Synchronisation Technique) Practitioner. Stephen Lewis, founder of the Aim Program. Find out more by clicking here.
. Find out more by clicking here. Reiki healing is very powerful in releasing stress and emotional baggage. Find a practitioner here. Try Hypnotherapy to relax the mind. Find a practitioner here. Carrie Vitt deliciouslyorganic@yahoo.com – organic food recipes. judith hoad judithhoad@gmail.com – herbalist. Kath May kathrynmay@talktalk.net – reiki, tai chi. Lillian Bridges lillian@lotusinstitute.com – Chinese medicine, living naturally. Rakesh GAC@AyurvedicLifeStyles.com – Ayurvedic Practitioner. Joanne Callaghan – joanne@tftrx.com www.RogerCallahan.com Thought Field Therapy (TF) releasing unresolved emotions, stress and illness.